A 12-sided die is an example of a dodecahedron. 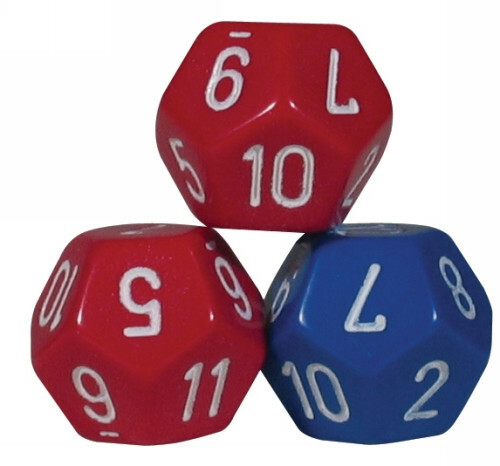 These 12-sided dice are 18mm and come in assorted colours in a set of 10 pieces. 12-sided dice can be used to represent 12 months, 12 hour time etc.